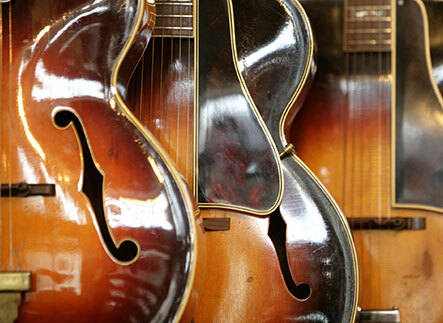 Nashville, Tennessee, is a mecca for beer aficionados! Once upon a time, Music City only had a handful of breweries. Today, grabbing a cold one is easier than ever thanks to more than 20 craft breweries within Nashville city limits! Of course, each has its own unique personality, so it can be hard to hone in on your new favorite drinking spot. Below, we’ve compiled four of our favorite breweries in Nashville, TN, so you don’t have to spend as much time searching! For a complete list of local food, drink, and activity recommendations, be sure to request access to our free Nashville Travel Guide! Tennessee Brew Works features an excellent selection of both year-round headliner beers and seasonal brews. Try their smooth Southern Wit for easy drinking or the 1927 India Pale Ale if you prefer beer with a bite. Seasonal beers here consist of blonde ales, brown ales, and an American wheat ale. Pair your beer choice one of their food items like the Baja fish tacos or five beer burger for the full TBW experience! This spot also offers brewery tours every Saturday at 3 p.m., 4 p.m., and 5 p.m. You can book a tour online, which concludes with a free pint of fresh craft beer! With eight craft brews to choose from, Jackalope Brewing Company has a beer to satisfy any taste. Looking for something on the lighter and sweeter side? The “Lovebird” is a crisp wheat brew that contains nearly two hundred pounds of strawberries and raspberries in each barrel. For something a bit hoppier, try Fennerio, Jackalope’s newest IPA. Jackalope Brewing Company also hosts exciting events throughout the year. We recommend joining in the fun every Thursday for trivia night! You can also catch food trucks here throughout the week for some of the best local cuisine. 12 South Taproom is hands-down one of the best breweries in Nashville, TN! First, this spot offers one of the longest beer lists in Music City. Here, you’ll be able to choose from 28 draft beers including local picks like East Nashville Beer Works’ Pale Wheat Cumberland Punch and Boulevard’s Jam Band Fruit Ale. The culinary prowess of head chef and owner Will Shuff also shows in the Taproom’s grass-fed Tennessee beef and local organic produce. The menu features a diverse spectrum of savory bites. Whether you’re craving a pulled pork taco, quesadilla, juicy burger, or gourmet sandwich, you’ll find something to pair with your craft brew. If there’s one name in brewing that everyone and their brother knows in Nashville, it’s Yazoo Brewing Company! Since 2003, brewmaster Linus Hall has graced this southern staple with innovative beers and led the burgeoning Music City microbrew movement. This 40-barrel brewery is one of the largest in Tennessee—be sure to stop by and try one of their best-known brews like the Dos Perros or Sly Rye porter! 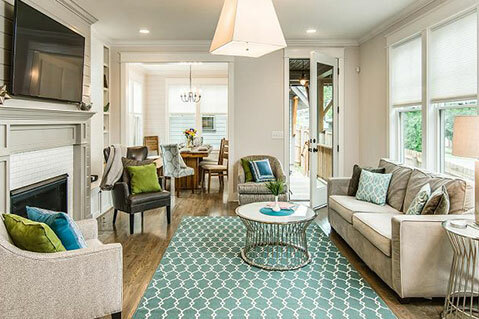 There’s Room for Everyone in Our Beautiful Nashville Rentals! Gather up your best friends and prepare to sample some of Nashville’s best beer this season! If you’re looking for the perfect place for everyone to stay, look no further than a Playlist Properties vacation rental. 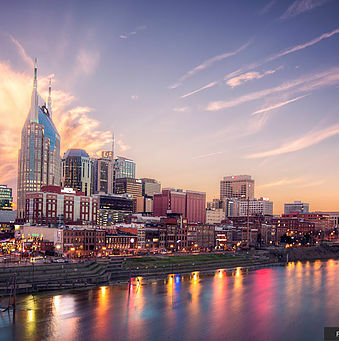 Whether you choose a 12 South, downtown Nashville, or East Nashville property, you’ll discover Music City through the eyes of a local in the know! Each of our rentals features luxurious interior details, plentiful space, and premium amenities found nowhere else (like fully stocked kitchens and private parking areas). 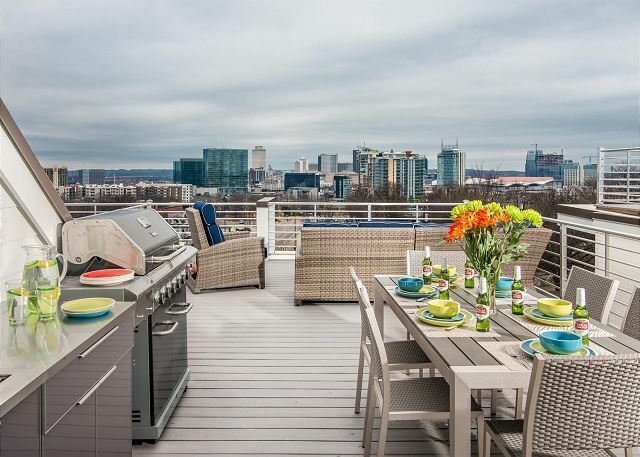 Some of our homes even feature rooftop decks perfect for entertaining! Plus, you’ll be close to all of the best restaurants and nightlife Nashville has to offer. Ready to experience Nashville’s vibrant craft beer scene? Book your stay in a Playlist Properties vacation rental now! We can’t wait to welcome you.